A candid and detailed look at the people and philosophy behind the twists and turns of computer game development. 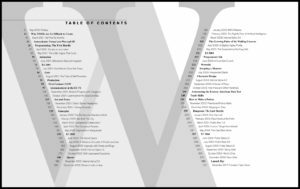 The WoW Diary will be hardbound and has over 95,000 words and 130 images, printed on 330 pages of varnished, full-color, high-quality stock. How are computer games made? And why are they so hard to make? 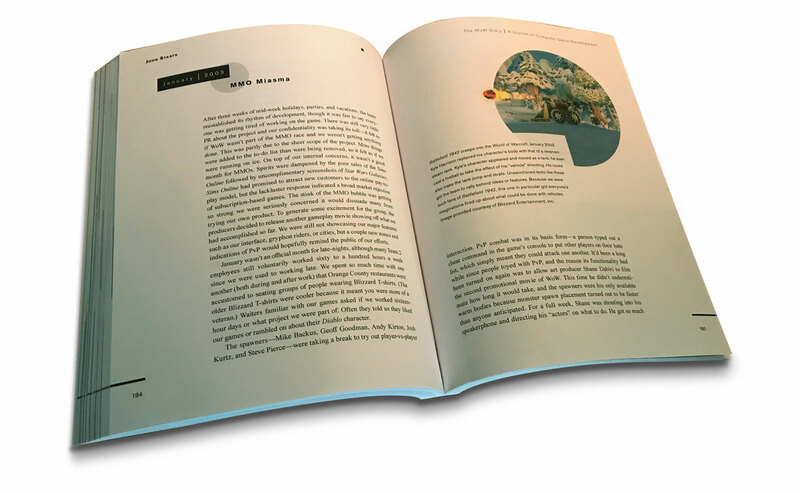 The WoW Diary takes you inside one of the gaming industry’s most prosperous companies and follows the development of one of its most successful titles. You may be surprised by what you learn that game development is messy: There is improvisation, mistakes, surprises, and lucky discoveries. What goes into the secret sauce that makes computer games great? 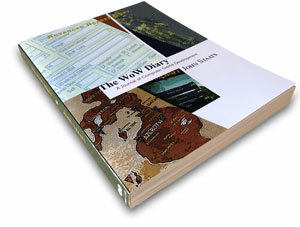 The book’s author, John Staats, served as the project’s first 3D level designer and his journal illustrates the complexity behind computer game development in terms that anyone could understand. 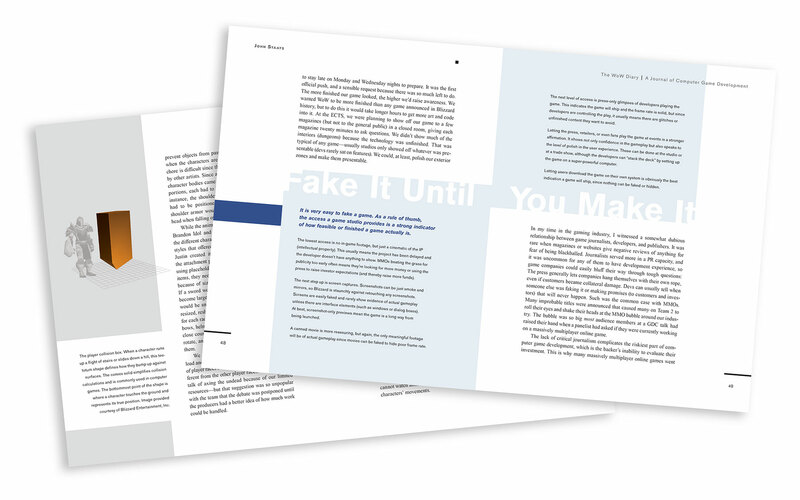 If you’ve ever wanted to work in the games industry, this book is for you. The scope of the book recounts the four years of Vanilla WoW’s dev cycle and covers the process of making a top-tier game. The WoW Diary is a publication independent of Blizzard Entertainment and its observations and opinions are my own. I’d be remiss to omit my initial reaction to Blizzard’s development area. The Team 2 area was a dump, decorated like someone’s basement. At a glance down the hallway, I could see that half of their florescent lights in the ceiling were burned out. The closest thing to a kitchen was a tiny microwave next to a sink filled with dirty dishes. Food stains, blackened with age, had been ground into the carpet. The halls were littered with spent halogen floor lamps and torn cardboard boxes filled with discarded toys and books. The conference tables were cluttered with soda bottles and stacks of unused condiments, and these tables were orbited by a graveyard of broken and unmatched office chairs. A set of black leather couches faced haphazard angles with no purposeful direction. The walls were covered with dog-eared posters, and every desk and shelf was laden with dusty statues and action figures. People walked around wearing shorts and flip-flops. All evidence indicated this was not an ego-driven environment, and it struck me as a very comfortable place—a person could just plop down and get to work. These offices were so dissimilar from Madison Avenue that I wondered how I would fit in. I didn’t even own jeans or sneakers; all my clothes were work related (slacks, dress shoes). Was it possible that this casual atmosphere shared the same work ethic as the career-driven culture I knew from in Manhattan? “Everybody get back to their places!” Mark Kern shouted down the hallway. After spending two hours filming a scene of characters running together downhill, everyone’s patience was stretched thin. A dozen or so people were trying to film scenes for a gameplay trailer (to accompany our announcement), and no one liked the results. “Get ready! One, two, three—go!” After a few moments, groans and recriminations erupted. “Who didn’t go?! We have two people not running!” Onlookers quietly chuckled and shook their heads at the debacle. Shane Dabiri was on the other side of the building, filming in a cinematics office. Someone leaned into Shane’s temporary recording studio and explained that not all the actors in the game had speakerphones. Once again, shouts carried through the office hallway directing the actors to return to their places. While the programmers shut their doors, the easily distracted artists gathered to watch the train wreck but just as quickly grew bored watching the process. Like movies and television, the majority of time spent on a film set wasn’t spent filming—it was an exercise in waiting for everyone to get ready. On the screen about a dozen or so team members had orc and human characters dressed in our newest armor pieces. Devs considered it cool to be in-the-know about the latest features, cheats, and art assets, so everyone was on the lookout for the latest fashion statements. If someone knew about a new helmet, they’d put it on to show off. We learned after losing an entire day to filming that we needed a smoother camera. Our game’s frame rate was great, but the in-game camera was designed for playing, not filming, and its jittery mouse-controlled movements didn’t look very slick. Days later, after the programmers delivered a smoother joystick-controlled camera, the footage was reshot, yet the results only supplied a few seconds of in-game footage. With exactly one month until the manufacturer had our game on the shelves, the designers began testing the Molten Core’s boss fights internally with forty or so developers from both Teams 1 and 2. The laughable Alterac Valley tests looked coordinated compared to the early raid tests, despite all the debriefing and instructions given. While the designers described each fight in chat (which was ignored), people got bored and made choo-choo sounds prompting others (who found it annoying) to tell them to stop—which only encouraged more choo-choos. Players barely buffed one another, and all communication was done in chat, there was neither voice software or raid interface whatsoever: Players could see health bars of only immediate party members. Jeff used the DPS meters (damage-per-second trackers, beta add-ons built by fans because we didn’t have internal tools for the job) to measure the combat numbers. Our volunteer group couldn’t pass the trash mobs (mobs were mobile monsters, and trash indicated the rewards for killing them were disposable; hence, trash mobs were “filler” monsters before the boss encounters) without wiping out, so we didn’t even try a boss fight. Even though we wiped (when all forty members died) to every “pull” of combat, Jeff got useful data and took screenshots of the DPS output and combat logs before he moved us on to the next trash mob. Many of us were incredulous that players would be able to kill these monsters. In chat he typed out: “Trust me. Organized raids will be able to get past this content easily.” Between fights, Jeff typed out brief descriptions of the combat mechanics to the unruly group, although there was scant evidence anyone was reading his instructions. 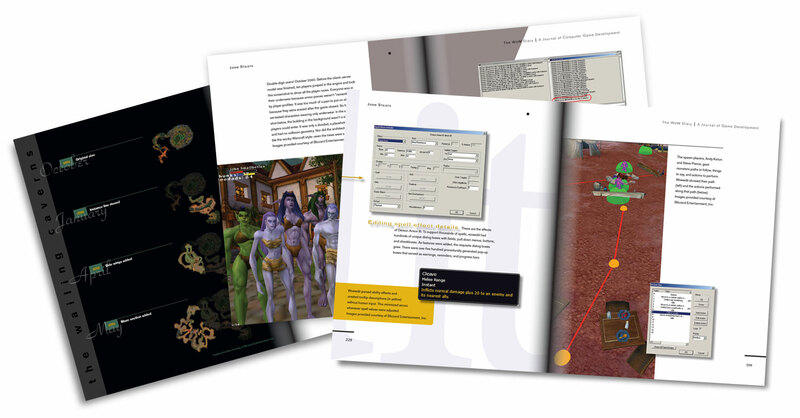 If you’re interested in a first edition of The WoW Diary: A Journal of Computer Game Development, wait for it’s Kickstarter campaign. Subsequent editions will be available only on Amazon.